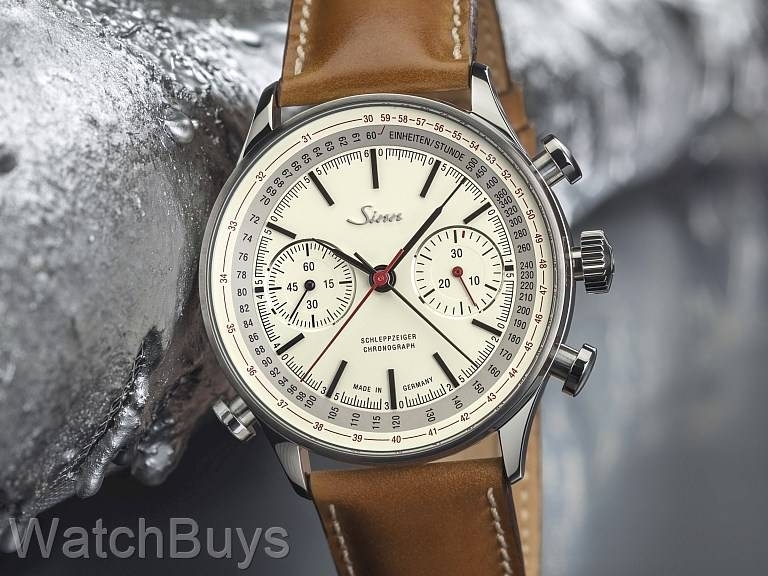 The Sinn 910 Anniversary Split-Seconds Chronograph is a limited edition of 300 pieces and features one of the most interesting complications - "Schleppzeiger" in German and "Rattrapante" in French. A split-seconds chronograph is a complication featuring two chronograph hands, which when started move in perfect alignment appearing as one. 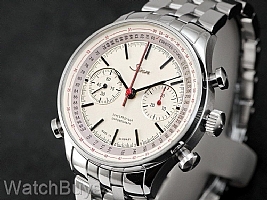 A special pusher at 8 activates the split-seconds function, causing one chronograph hand to stop (to measure the timing of an event) while the second chronograph hand continues to run. When this pusher is pressed a second time, the hands "catch up" and continue in perfect alignment until either reset or separated again. The idea behind this complication, which was invented in the 19th century, is to time events within events, hence the use of two chronograph hands. 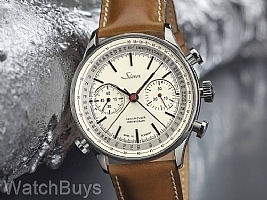 The new Sinn 910 Anniversary Split-Seconds Chronograph is a column wheel chronograph developed in cooperation with La Joux-Perret. 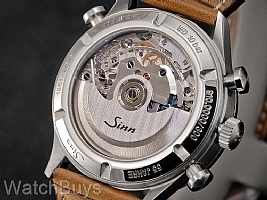 Although this movement uses certain parts from the Valjoux 7750 for winding gear train, the remainder of the movement parts and construction are proprietary - this is not a modular construction and does not use a cam actuated chronograph. 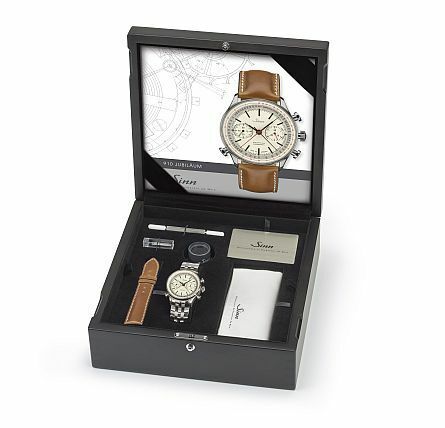 This watch features a vintage tan dial with applied indices. The case is made from stainless steel and features both polished and satinized elements. Anti-reflective sapphire crystals are featured on both sides of the watch to view the beautifully decorated movement. 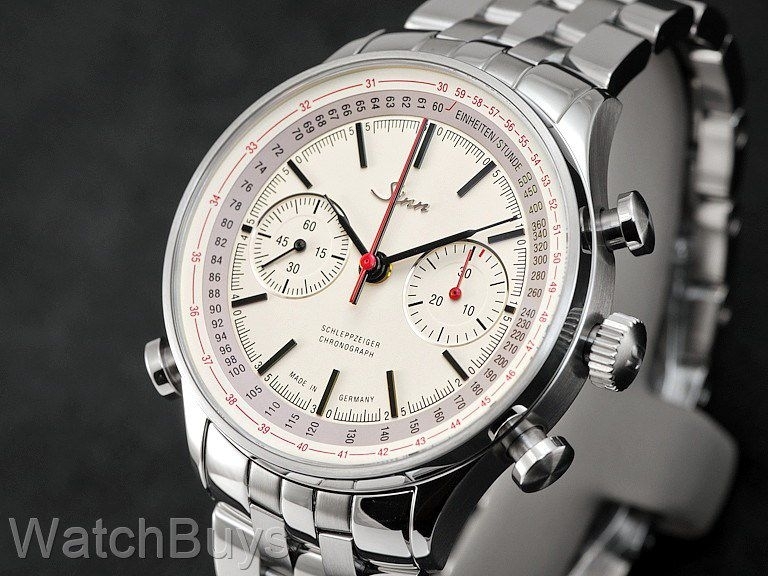 Features include hours, minutes, subsidiary seconds and split-seconds chronograph indicators. This watch is water resistant to 100 meters. This watch features both a brown shell cordovan Sinn strap and a Sinn fine link stainless steel bracelet. Also included are a band replacement tool, extra spring bars, watchmaker's loupe and cleaning cloth.